Going green is not a trend. It’s an effort to fight global warming. The whole idea is the greener the planet the longer it will survive. Going green doesn’t just relate to our landscaping design, it has to do with the way our cities are structured and planned, the frequency with which we use our vehicles, the number of chemicals we use, and the extent we abuse our green environments – just to mention a few. As individuals, we might not be able to do much about the Amazon rainforest, but the most significant endeavours start literally at our own backyard. There is an alarm ticking to warn us about the effects of global warming. The temperatures on our planet rise with amazing speed melting down the ice in the Arctic, affecting the global heat balance, raising the sea level, increasing precipitation, disturbing wildlife, causing drought and threatening our lives with diseases. The ecosystem has already changed and will continue to do so unless we do something about it. And although there is a lot we can do as societies, we also have a responsibility as individuals. Global warming is mainly caused by the emissions of carbon dioxide. By creating more green zones, we actually build more sinks which can absorb hazardous gases. This is where landscaping companies come in. 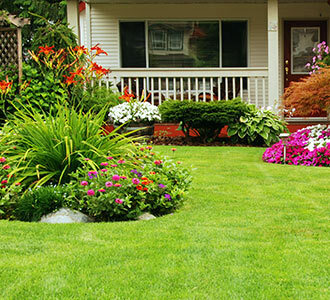 You can get landscape design ideas to increase the green zone at your house or even business, make sure it is well-maintained and learn how to keep your environment eco-friendly. If authorities and companies in every city worked with landscape architects, there would be more parks and green areas. The new landscaping architecture will be impressive and create more healthy zones as the green city forests will serve as carbon sinks. Creating green roofs. With the right landscaping plans, you can put green on the roof and walls and plant trees in such a way as to minimize energy loss inside the house. The strategic placement of plants and trees, as well as green walls and roofs will reduce heating and cooling energy needs and so there will be fewer emissions in the atmosphere. Increase the green zones around the house. By planting more, you actually create more carbon sinks helping the wildlife, cleaning the air and ensuring there will be water in the future years. Conserve rainwater. Keep it in barrels and use it to water your plants and lawn. Not only will you save water, but you will also use rainwater which is free of chemicals. Learn which plants are ideal in your region. Native plants last longer and hardly need human interference, so there will be green zones around most seasons of the year. This will help native species to survive as well. It’s only a tiny step in every property with substantial positive effects on our environment. 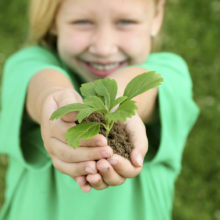 At the same time, you will enjoy a great looking garden where your kids can grow healthy.